We are Jo-Anne and Richard Hoad, innkeepers of the Parsonage Inn on Cape Cod, and we are thrilled to announce the launch of the new website for our Inn. As the new Innkeepers of The Parsonage Inn on Cape Cod, the list of urgent projects and renovations was daunting and at times overwhelming. Once we had the room design clear in our minds and work underway, menus ready for testing with friends and family, the vital and in many ways the crucial part of the jigsaw puzzle was getting our message out to guests through our website. Our old website was developed back in 1998 and served the Inn well. However, it was showing signs of age and was difficult to manage and update. We believed a new approach was needed for our website, one that inspired and captured the essence of the Inn. Each of the rooms has a unique feel, offering a bright, fresh, slightly more contemporary feel. We also wanted to retain that warm, cozy feel of our historic home. Our new website needed to encompass those attributes. 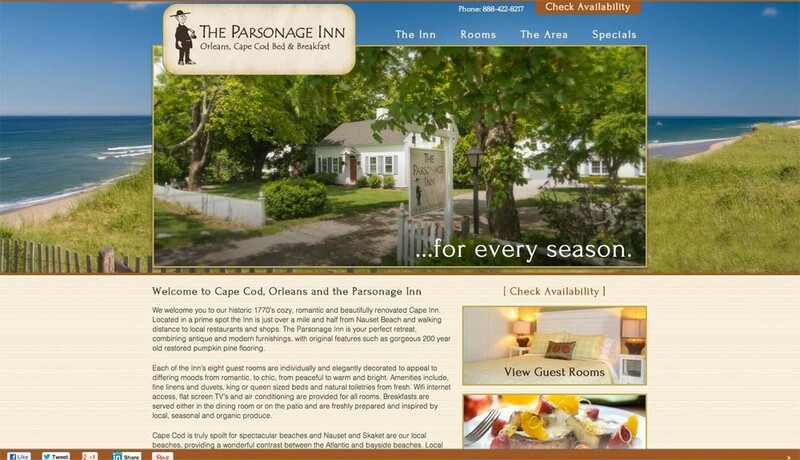 Go to our website https://parsonageinn.com/, see the rooms, experience the breakfasts online, and come visit Cape Cod. We would love to meet you!